A ribbon cutting was held for the 17 new T-hangars at the Lebanon Airport on Thursday. City leaders and aviation enthusiasts gathered at the Lebanon Municipal Airport on Thursday afternoon to celebrate their newest T-Hangars. Construction on the 17 new T-Hangars began in February 2015, with aircraft starting to move in August 2015. The city will have 52 T-Hangars, 9 Box Hangars, 11 Private Corporate Hangars and a terminal with a community hangar. Lebanon Mayor Philip Craighead welcomed folks to the ribbon cutting, held outside of the new T-Hangars. He said it had been a long project, started at the wrong time of the year. "We started in the winter and everything caught us - but we got it done. It is just the start of where we are going for the future of the Lebanon Airport," he said. "We appreciate everybody who made this happen to make our community grow." Direct Flight Solutions LLC Owner Heather Bay, who serves as Fixed Base Operator of the Lebanon Airport, managing the daily operations of the field, next took the opportunity to share a few words. "The new T-Hangars are state of the art and meets the demands of the airfield for pilots to house their investment," she said. The new hangars have 48-foot-wide bifold electric doors with 13-foot clear height. These hangars will house larger single engine aircraft according to a release from the City of Lebanon. T.O. Cragwall, chairman of the Lebanon Airport Commission, wrapped by saying, "It's a great day for us. We are excited about what is going on at the airport." STRATFORD - Witnesses reported seeing a plane go off of the runway into the grass at Sikorsky Memorial Airport in Stratford. It happened after 1 p.m. on Monday, according to reports. Witnesses at the scene told News 12 they watched the small plane attempt to land, but its right landing gear did not deploy properly. They say the plane spun out amid a cloud of dust, ending up in the grass off the landing strip. Witnesses say a man was seen exiting the plane onto the grass, where he waited for first responders to arrive. The airport was shut down following the incident. Other planes attempting to land were turned away. BRIDGEPORT, Conn. — A pilot was able to walk away without injuries after his plane went off the runway Monday at Sikorsky Airport in Bridgeport. At about 1:20 p.m. Monday, September 7, Bridgeport firefighters received a call about an aircraft running off the runway at Sikorsky, the city said in a statement. The single engine aircraft, a Piper PA-24, was attempting to land when the incident occurred. The pilot veered off the runway while landing and went into the grass, the statement said. The pilot was the only person aboard the aircraft. The pilot did not suffer any injuries. No fire and no fuel leaks were reported from the accident. The airport was closed for about two hours while airport personnel removed the aircraft from the runway area, the statement said. 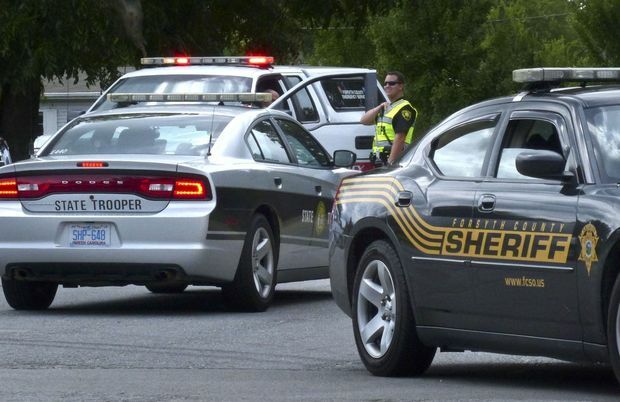 FREEPORT — A pilot involved in a plane crash near Freeport's Albertus Airport was not seriously injured, according to Stephenson County sheriff's representatives. A press release stated that the individual crashed in a field near the airport along Baileyville Road about 8:26 a.m. this morning. According to provided information, authorities believe the plane suffered a mechanical issue during takeoff, necessitating the emergency landing, during which the plane was damaged. The pilot, who was conscious and out of the plane when authorities arrived, was transported to Freeport Memorial Hospital for treatment, and the investigation is ongoing at this time, according to the press release. KANSAS CITY, Mo - With safety always a top priority for airport administrators, certain events will trigger evacuations. The Federal Aviation Administration (FAA) commissioned a study just last year to look at this issue. Investigators looked at 36 commercial airports of all sizes. They found the highest priority incident type calling for an evacuation was most frequently a natural disaster. This included snowstorms, earthquakes and tornadoes. Further down on the list are structure fires, power failures and security breaches -- like Tuesday's incident at KCI. The priority list for evacuations included bomb threats and active shooter situations. The study said airports need to have a terminal incident response plan in place for evacuations -- which includes a plan to get operations back to normal. Tuesday's partial evacuation comes as KCI has become an increasingly busy airport. More than a million passengers passed through the terminals in July alone. It was the first month the airport eclipsed that mark since 2008. United Continental Holdings Inc. said Chief Executive Jeff Smisek has left the company amid a continuing federal investigation, and the airline named CSX Chief Operating Officer Oscar Munoz as its next president and CEO. United Continental said Mr. Smisek’s departure is related to federal and internal investigations associated with the Port Authority of New York and New Jersey. United executives declined detailed comment on the continuing internal investigation and federal probe. A Port Authority spokesman declined to comment. The relationship between United and former Port Authority Chairman David Samson has been under investigation by U.S. Attorney Paul Fishman’s office for more than a year. At issue, according to people familiar with the investigators’ inquiries, is whether Mr. Samson used his position as head of the Port Authority’s board to demand favorable treatment or personal benefit from United. The airline is the largest carrier by passenger volume at Newark Liberty International Airport and was seeking to renegotiate its lease agreement at the airport, among other matters, during Mr. Samson’s tenure. Prosecutors have repeatedly subpoenaed records from the Port Authority, as recently as last month, that would date back to the early days of Mr. Samson’s tenure at the authority and that include correspondence and meeting records related to United’s attempts to negotiate an extension of its lease at Newark, according to people who have seen the subpoenas. Among the areas of inquiry: a direct flight launched by United to Columbia, S.C., near where Mr. Samson keeps a vacation home. Published reports said the flight was referred to within the Port Authority as “the chairman’s flight.” It was canceled soon after Mr. Samson retired from the Port Authority in 2014. Mr. Samson has previously declined to comment on the federal inquiry through a spokeswoman. He has defended his tenure and his career in public service, including a stint as Attorney General of New Jersey. In a February filing, United Continental said some of its executives and employees had received federal grand-jury subpoenas related to people formerly associated with the Port Authority of New York and New Jersey, and that it was cooperating with the government’s investigation. Mr. Smisek will receive an array of compensation following his departure, including a lump sum severance payment of $4.875 million in cash, according to a regulatory filing. He will also receive outstanding salary and vested benefits such as share awards, alongside continued benefits such as lifetime flight and parking benefits, and the title to his company car. The former Continental Airlines CEO, who outgunned American Airlines’ CEO Doug Parker to take control of United through a merger agreement in 2010, is subject to a two-year noncompete agreement. United Continental also said its executive vice president of communications and government affairs and its senior vice president of corporate and government affairs have stepped down, moves related to the investigation. Mr. Munoz leaves CSX after several years as operating chief. He had held the post since 2012 and was chief financial officer for nearly a decade before that. Mr. Munoz has served on United Continental’s board since 2010 and on Continental Airlines’ board from 2004 until the merger with United in 2010. He said he expected to spend his first 90 days as chief visiting United locations and employees, and hoped to expedite efforts to secure outstanding labor deals, while continuing to expand capacity below the rate of GDP growth. After 11 years on the board of United and its predecessor, he pledged to employ lessons learned from his rail-industry experience to continue the airline’s efforts to boost operational and financial performance following a period when it’s been weighed down by technical hitches and unstable labor relations. He said U.S. airlines had been closely watching what analysts have called the “rail renaissance,” with a greater emphasis on service levels and pricing and cost discipline, and returning profits to shareholders. Mr. Munoz had been viewed by analysts as a potential successor to veteran CSX CEO Michael Ward. Mr. Munoz said it was a tough decision to leave the railroad, but United was a bigger company, and his background was in business-to-consumer channels. United has seen a turnaround in its financials recently after a bumpy integration of United and Continental. It posted a record $1.1 billion profit last year. In July, the company announced a new $3 billion stock-buyback program and a sharply increased profit of $1.2 billion for its latest quarter. Still, the company isn’t without glitches. In July, a computer problem temporarily grounded the company’s world-wide fleet. United Continental has also recently wrestled with unhappy unions, poor punctuality and a recent increase in maintenance-related delays and cancellations. Two rookie police officers are facing the sack after describing the Shoreham air disaster as a “human barbecue”. They took a video selfie on a mobile phone while guarding the crash site in West Sussex, where 11 people died when a vintage jet crashed on the A27. The pair sent the film to a colleague using social media network Snapchat, attaching the offensive words as a caption with a hashtag. The shocked recipient reported them and they are now being investigated for gross misconduct. Sussex Police said the incident had caused “unnecessary distress” to relatives before the first funerals. Videos and pictures sent through Snapchat automatically delete. Chauffeur Maurice Abrahams, 76, will be laid to rest in Rottingdean. The funeral of Jacob Schilt, 23, is in Hove. The Hawker Hunter crashed doing a loop-the-loop at the Shoreham Airshow on August 22. Pilot Andy Hill, 51, is in serious condition in hospital. BAYPORT, N.Y. (WABC) -- An experimental Kitfox II plane flipped into the Great South Bay off Long Island Tuesday morning. Suffolk County police said the pilot, Joseph Cannizzaro, was trying to fly the plane when the pontoon and left wing caught the water, causing the aircraft to crash into the water at about 6:45 a.m.
Peter Williams took cell phone video as he helped rescue pilot Joseph Cannizzaro. "Are you tied or not?" Williams said in the video. Williams says he was lying in his bed in the morning looking out at the Great South Bay watching the small plane. "And then he crashed right in right down," Williams said. Williams flew out of bed and got into his boat. "I jumped right in the boat and that's when I called 911 at the same time that I'm trying to get out and get out to him," Williams said. About 1,000 feet off shore he reached Cannizzaro who was calmly waiting on his flipped over plane. A witness showed Eyewitness News a picture of Cannizzaro backing his plane into the water using a pickup truck around 6:30 a.m.
Jack Stevens says he was fishing around that time and also saw Cannizzaro struggling to maintain altitude. "He was floating along there for a little bit and then he turned like he was going to take off again, and as he took off again I think the wind caught his upper wing and tipped him and the other wing hit the water and he flipped over," Stevens said. Suffolk Marine Bureau officers were finally able to pull the plane to shore. Williams says it was a good team effort. "You're happy you could help?" Eyewitness News said. "Oh definitely, definitely that's all you can do is try to help somebody," Williams said. Eyewitness News tried to reach Cannizzaro, but he didn't return our calls or messages. The Coast Guard says he refused medical attention at the scene. The plane was towed to a nearby beach. The FAA is investigating the incident. Carilion Clinic warned Tuesday against flying drones near medical helicopters, saying there have been two minor encounters so far this year. Where medical helicopters land and take off, whether at hospitals or in the field, is no place for a drone, the Carilion personnel said. While admitting they don’t control the actions of drone operators, the Carilion medical helicopter team called on drone owners to voluntarily avoid medevac operations. There’s too much potential for conflict between the serious business of emergency medicine and hobbyists shooting video to put on the web or have as a keepsake, officials said. When conventional aircraft share airspace, they stay in communication with each other and with people on the ground. The presence of a drone, whose operator isn’t linked into communications and may not be an aviator, raises the risk of a mishap or collision. “We don’t know what their intentions are and they don’t know what our intentions are,” said Susan Smith, who directs the air and specialty care divisions at Carilion patient transportation. The bottom line: Medical chopper pilots, who cruise at 138 mph and pick up 1,500 patients yearly, have more than enough to think about without having to jockey around a drone. Brian Wynne, president and CEO of the Association for Unmanned Vehicle Systems in Arlington, said he appreciated Carilion for urging drone owners to put the safety and privacy of medical pilots and their patients first. Carilion’s advisory “sounds exactly right,” Wynne said. Wynne said the website http://knowbeforeyoufly.org offers comprehensive guidance for safe drone operation for recreational, government or business purposes. The FAA directs operators of small recreational drones, which it calls model aircraft, to avoid manned aircraft, fly no higher than 400 feet and stay in control of their devices. But twice this year drones flew near medical operations involving Carilion aircraft, Smith said. Neither pilot needed to evade the drone and neither was delayed or reported a near miss, Smith said. But with drone popularity climbing, and prices falling, more people will fly drones in the future, creating more possible conflicts, she said. Smith belongs to groups at the Association of Air Medical Services and the Virginia Department of Health’s Office of Emergency Medical Services that will recommend means to curb the risks raised by drones. Under the latest thinking, an on-the-ground coordinator at each site who is assigned to assist with takeoff and landing scans the area for drones, notifies helicopter pilots of any drones present, identifies the drone’s owner if possible and asks him or her to land it, Smith said. "When in doubt, land the drone,” Smith said. In one of the two incidents, a drone hovered near a helicopter pickup of a patient at a Bluefield, West Virginia, hospital, Smith said. In the other, pilot Tyson Le Roy landed his Life Guard helicopter near a Henry County traffic wreck, but the injured person was still being freed. A drone flew over the scene. Le Roy said that while the extraction continued, he wanted to reduce the weight of the aircraft before boarding the patient by taking a short flight to burn fuel. But he judged the drone was too close and stayed on the ground, missing the opportunity to shave a few minutes off the pickup. Firefighters found the owner of the drone and the owner landed it, Le Roy said. It turned out that the person injured in the wreck didn’t need to go to the hospital. The lost time didn't matter, but under other circumstances could have. “Ignorant and irresponsible use of these drones can create a hazardous situation for the patients that we serve in this business,” he said. An Allegiant Air flight from Bismarck, North Dakota, made an unscheduled stop about 120 miles short of its Las Vegas destination, diverting to an airport in southern Utah for what the airline described on Tuesday as a possible maintenance issue. Crew members reported a faulty fuel gauge, an airport official at St. George Regional Airport said. No emergency was declared, but the interrupted flight became the latest incident involving the low-cost carrier that caters to vacation travelers. An Allegiant flight aborted takeoff three weeks ago when the nose lifted prematurely while the aircraft hurtled down a Las Vegas runway, and another Allegiant flight made an emergency landing July 23 at a closed airport in Fargo, North Dakota, after company executives piloting the aircraft reported they were nearly out of fuel. Flight 487 landed safely in Monday at 7:12 p.m. MDT in St. George, a statement from the Las Vegas-based airline said. The MD-83 jet had 141 passengers and six crew members aboard. Brad Kitchen, airport operations supervisor in St. George, said he arranged for about 35 passengers to take a shuttle bus to Las Vegas. Other passengers waited in the terminal for another aircraft to arrive to fly them the short 30-minute flight to McCarran International Airport in Las Vegas, Kitchen said. Allegiant said the flight arrived at 12:03 a.m., and baggage was being brought Tuesday to Las Vegas. Passengers were offered $100 vouchers for future travel, the airline said. A Federal Aviation Administration official said he had no information about Monday's landing. The FAA is investigating the aborted Aug. 17 takeoff at McCarran of an MD-83 bound for Peoria, Illinois. The aircraft returned safely to the gate, and no injuries were reported. An initial probe found that a nut fell off a crucial component, causing a control surface to jam in the up position, the FAA said. That raised the nose as the aircraft accelerated down the runway. In July, two Allegiant executives with pilot licenses were flying the Allegiant MD-80 jet that made the emergency landing at Hector International Airport in Fargo. The air field had been closed for an air show. The airline said 144 passengers departed late from Las Vegas because a passenger had a medical emergency and had to be taken to a hospital. The Las Vegas-based airline, a unit of Allegiant Travel Co., said it was cooperating with FAA investigators. Despite an Air India Airbus A320 aircraft making an emergency landing at Delhi airport late on Monday night, the airline maintains that the aircraft in its fleet are safe and operating with full airworthiness certification of not only the European aircraft manufacturer Airbus but also the Directorate General of Civil Aviation (DGCA). Air India has a fleet of 64 Airbus aircraft in its fleet out of a total fleet strength of 130 aircraft. The Airbus A320 fleet is considered the workhorse of the airline even as officials maintain that the basic issue is with 15 of the 64 Airbus A320 which are called classic aircraft and are around 20 years old. "All Aircraft Maintenance Programs recommended by Airbus Industry or any other aircraft manufacturer as also the Directorate General of Civil Aviation are strictly adhered to by Air India. All safety parameters are maintained to ensure safety of flight and people,” a senior AI official said adding that just like any other machine, an aircraft also faces technical issues with age. Late on Monday night an Air India spokesperson told news reporters that the flight operating on the Varanasi- Delhi had an emergency landing due to a hydraulic leak. "This resulted in few sparks at the nose wheel. There was no fire. All 146 passengers were evacuated safely and taken to the terminal building. No passenger was injured,” the spokesperson said. The Indian Commercial Pilots Association (ICPA), a body representing pilots’ interests, had written to the DGCA in March this year that the classic A320 aircraft which are 26 years old were being operated with repetitive snags endangering flight safety. Countering the charge, a senior airline official told BusinessLine that there were several checks and balances built into the system to ensure that one or the other systems on the aircraft take over to ensure that it takes over from the system that has failed. The Aircraft Owners and Pilots Association is taking a stand against the first major development project planned for the city’s airport overlay zone. Mark Baker, AOPA president, submitted a letter to the mayor and Board of Aldermen in mid-August outlining his objections to changing the zoning of the Renn Farm. The AOPA supports keeping the area zoned light industrial, but the proposed development requires mixed-use zoning to accommodate its residential component. The airport relies heavily on federal funding for eligible projects. For example, the FAA provides 90 percent of the funding for runway extension. An FAA spokeswoman said she was aware of the Renn Farm project but could not comment specifically about how it might affect the agency’s ability to provide grant funding to the airport. The Renn Farm development, as proposed by developer Matan Cos., calls for 1,050 multifamily buildings, town houses, cottages and houses, along with 105,000 square feet of nonresidential use and 24.1 acres of dedicated parkland. Because the development is in the airport overlay zone, anything built over 100 feet tall would be subject to FAA evaluation. Concerns raised by Airport Commission members and the AOPA target the residential portion of the development specifically. But several market studies and analyses of the future opportunities for residential and nonresidential development of the land indicated that development of the 200-acre site could include more than the exclusively industrial business permitted under its current zoning, according to Karl Morris, director of development for Matan Cos.
“The studies on the property indicated that mixed-use was the best use for the property versus industrial uses, and therefore creates an opportunity to produce a mixed-use traditional neighborhood design,” Morris wrote in an email. Project plans — residential use included — also fit with the development plans outlined by East Frederick Rising in its 2011 vision plan, Morris wrote. Matan’s proposal includes less dense residential development of the property than the vision plan outlined, according to state Sen. Ron Young, an East Frederick Rising board member. In the five years since the plan was published, Young said he hadn’t heard any objections to residential development on the farm. “This is kind of coming out of left field,” he said of the recent concerns voiced by airport groups. As the volunteer group begins anew its efforts to bring development to the east side of the city, Young said setbacks to the Renn Farm project could paralyze efforts across the region. The final vote on the requested rezoning and site plans is scheduled for a city meeting on Sept. 17. The meeting will include opportunity for residents to give feedback and discussion among city officials before they vote. Several aldermen expressed concern at an August workshop meeting about the potentially negative consequences of building houses and town houses so close to the airport. Alderman Michael O’Connor said last week that he was still weighing the advantages and possible downsides to the project. O’Connor said the best solution would be to craft rezoning requirements that would allow the project to move forward while establishing protections for the airport and future residents. “If I’m going to vote to rezone, I have to believe those protections are adequate,” he said. Alderman Phil Dacey, though, said he didn’t want to do anything that would derail the project from moving forward. Infrastructure: Developer has agreed to enter an agreement with the city for infrastructure improvements along Monocacy Boulevard from Hughes Ford Road to East Patrick Street, along with contributions to several capital improvement program and escrow-funded projects on these roads and intersections. Parks and recreation: A 73-acre flood plain dedicated as city parkland, well above the requirement under the city's land management code for mixed-use development and an agreement to construct a trail connecting shared-use paths along Carroll Creek and Monocacy Boulevard. Next steps: Either continued discussion second city workshop or part of an upcoming public hearing and vote by city aldermen. The private pilot had recently purchased the airplane and it was more complex than the airplane he had flown previously. The accident airplane was also equipped with an upgraded avionics suite. The pilot had practiced loading and flying instrument approaches with the new avionics during recent flights with a flight instructor and another pilot onboard, and the flights were conducted in visual meteorological conditions (VMC). The pilot's most recent logbook was not available for review, so his instrument currency, as well as his recent and type of flight experience could not be verified. Review of the flight from departure to entry into the arrival airport's airspace revealed no unusual events or problems, and it was conducted in VMC. However, once the pilot began the higher workload phase of flight preparing to execute the instrument landing system (ILS) approach in actual instrument meteorological conditions, he began to exhibit some uncertainty and confusion. The first approach controller had to confirm the runway assignment three times and the pilot's assigned altitude once. After contacting a second approach controller, who vectored the flight to the ILS, the pilot had difficulty becoming established on the localizer, eventually causing the controller to cancel the approach clearance and issue vectors for a second attempt at the approach. The instructions issued by the second approach controller were not complicated, but the pilot had difficulty flying assigned headings and altitudes. The controller also did not immediately detect some of the unusual maneuvers conducted by the pilot or recognize that he was perhaps suffering from spatial disorientation until the pilot explicitly said so. Instead of simply issuing a single heading and having the pilot climb a few hundred feet back into VMC, the controller asked the pilot if he was able to accept "no-gyro" vectors. The pilot accepted the offer, and the controller then issued turn instructions that required turns in both directions. This excessive maneuvering possibly exacerbated the pilot's spatial disorientation. The controller then directed the pilot to climb in an attempt to get him into VMC, but shortly thereafter, the airplane entered an aerodynamic stall/ spin and impacted terrain. When interviewed, the controller was unable to explain the basics of no-gyro vectoring and was unable to demonstrate the ability to effectively provide the service. Facility management provided four summaries of training scenarios that included unusual or emergency situations, but none included no-gyro vectors or focused on identification of emergencies. Overall, the recognition of and response to emergencies did not appear to be a strong training item, which is not limited to this facility. The FAA training did not properly prepare the controllers involved in this accident to recognize and effectively respond to disorientation scenarios. Examination of the airframe, engine, and flight instruments revealed no mechanical deficiencies that would have precluded normal operation at the time of impact. The pilot's loss of airplane control due to spatial disorientation, which resulted in an aerodynamic stall/spin. Contributing to the accident was deficient Federal Aviation Administration air traffic control training on recognition and handling of emergencies, which led to incorrect controller actions that likely aggravated the pilot's spatial disorientation. On September 7, 2015, about 1203 eastern daylight time, N36HT, a Beech A36, was destroyed when it impacted terrain near Kernersville, North Carolina. The private pilot and the two passengers were fatally injured. The airplane was registered to Central Penn Aviation Academy Inc., Paxinos, Pennsylvania and operated by the pilot. An instrument flight rules (IFR) flight plan was filed for the flight that departed Sarasota-Bradenton International Airport (SRQ), Sarasota, Florida, about 0819, under the provisions of a 14 Code of Federal Regulations Part 91 personal flight. Instrument meteorological conditions (IMC) prevailed at the time of the accident. According to radar and voice communication data provided by the Federal Aviation Administration (FAA), the airplane was being radar vectored by air traffic control for the ILS RWY 5R instrument approach to the Piedmont Triad International Airport (GSO), Greensboro, North Carolina, following a previous unsuccessful ILS approach to the same runway. The pilot contacted GSO approach at 1132:54 and reported that he was descending through 5,700 ft. A controller replied that automated terminal information system (ATIS) information Delta was current, the altimeter setting was 30.19, and the pilot should expect to land on runway 5R. The pilot read back the runway assignment, and then asked if he should expect a visual approach. The controller stated that the pilot should expect the ILS approach, and asked the pilot to report when he had received information Delta. The pilot confirmed that he had information Delta, and then asked if the assigned runway was 5L. The controller reconfirmed the original assignment, runway 5R. At 1133:51, the pilot asked the controller to confirm that he was cleared to descend to 5,000 ft. The controller responded that if 5,000 was the altitude assigned by the previous controller, it was correct, and also noted that he had not issued any other altitude instructions. The pilot acknowledged. At 1135:14, the pilot again asked the controller to confirm whether he should expect runway 5R or 5L.The controller responded, "The right side – R I G H T." The pilot read back, "Five right 36HT." At 1140:44, the controller instructed the pilot of N36HT to fly heading 360 for sequencing into GSO, and the pilot acknowledged. At 1143:26, the controller instructed the pilot to contact another controller on frequency 124.35. The pilot contacted the controller at 1144:00 while the airplane was level at 5,000 ft. The controller provided the GSO altimeter setting, 30.19. At 1145:24, the controller cleared the pilot to descend to 3,000 ft. At 1148:01, the controller advised the pilot of potentially conflicting traffic ahead, type and altitude unknown. The pilot responded, "Roger – 36HT is about to go IMC." The airplane was descending through 3,600 ft at the time. At 1148:38, the controller advised the pilot that traffic was no longer a factor and instructed him to turn right heading 010 degrees. The pilot correctly read back the heading. At 1149:04, the pilot reported level at 3,000 ft, and then asked if the controller wanted him to remain at 3,000 ft. The controller responded, "Affirmative." At 1150:35, the controller transmitted, "N36HT niner miles from Pagan, turn right heading 020, maintain 3,000 until established on the localizer, cleared ILS runway 5R approach. The pilot responded, "Turning right heading 020 for Pagan." The controller restated the altitude restriction and the approach clearance, and the pilot correctly read it back. At 1152:48, the pilot asked, "How do you like this route of flight?" The controller responded, "You look just a little bit right of course for the ILS, turn left heading 0…make that 360 for the ILS, report established." The pilot then asked, "Turning left or turning right for 360?" The controller replied, "left to 360," and the pilot acknowledged. At 1153:59, the controller asked the pilot, "…are you established? [on the localizer]" The pilot responded, "Established if I could have vectors to final, please." The controller then asked, "…Are you established on the localizer?" The pilot stated, "I believe I am, 36HT." The controller continued, "Now you look like you just actually went through the localizer." The pilot replied, "Roger – request a vector for final for 36HT." The controller issued an instruction to another airplane, then at 1154:30 transmitted, "N36HT cancel your clearance, maintain 3,000, turn left heading 320 for sequencing." The pilot read back, "Left 320." At 1156:42, the controller instructed the pilot to turn left heading 230 degrees for vectors to the ILS runway 5R approach. The pilot correctly read back the instruction. At 1157:30, the controller asked the pilot to verify that he was flying heading 230. The pilot replied, "Negative, and 36HT is close to..." The transmission ended incomplete. The controller then took a coordination call from another facility. During that call, the pilot called again in a strained tone, stating, "N36HT request vectors," and the controller also noticed that the airplane's altitude was below 3,000 ft. He ended the call and at 1157:57 responded to the pilot, "Bonanza 36HT you need to be level at 3,000, altitude shows you 2,500, Greensboro altimeter 30.19." The pilot responded, "6HT climbing to three." The controller asked the pilot to verify that he was on a 230 heading. The pilot did not respond. At 1158:40, the controller asked the pilot to verify the airplane was at 2,900 ft. The pilot did so. At 1159:16, the controller asked the pilot to verify the airplane's heading. The pilot responded that the airplane was heading 166. The pilot continued, "We need a descent, we are almost disoriented, N36HT…2,700." In the background of the transmission, a female voice said, "Turn something off." At 1159:43, the controller instructed the pilot to start a left turn and 16 seconds later told him to maintain 2,500 ft. The pilot did not acknowledge the turn, but radar data indicated the pilot initiated a left turn. At 1200:16, the controller instructed the pilot to start a right turn. The pilot responded, "Right turn, 36HT leveling off 2,500." At 1200:47, the controller transmitted a low altitude alert to N36HT along with the altimeter setting, and asked the pilot to say altitude. The pilot did not acknowledge the transmission, and radar data showed that during the next minute the airplane initially turned right but then entered and completed a 360-degree left turn. At 1201:25, the controller transmitted, "N36HT climb and maintain 4,000, I can see if I get you back up into the uh above the clouds." At 1201:35, the controller continued, "N36HT Greensboro approach you up? Last altitude showed 2,100." At 1201:41, the pilot transmitted "N36HT" in an agitated voice. The controller replied, "N36HT just climb and maintain 4,000, I'll block altitude for you." At 1202:06, the controller asked the pilot of N36HT, "… if he was able to take the climb", and continued, "Last tops were reported at 3,500, if I can get you up to 4,000 maybe you can square it back off." At 1202:18 a short sound was heard, possibly from the pilot. At 1202:39, the controller advised the pilot that his altitude was 2,100 ft.
At 1202:44, an unidentified transmission of what sounded like breathing was heard on the frequency. At 1202:54, the pilot asked, "Is there a nearby field for 36 ho-." The controller responded, "…the nearest airport is Greensboro airport, off your left wing and off your current heading 7 miles. Right now showing 1000 overcast for the ceiling." At 1203:21, the controller asked the pilot for his altitude. At 1203:34, screams were heard on the frequency. There were no further communications with the pilot. Several witnesses observed the airplane just prior to the accident. One witness stated that when he first saw the airplane, it was "very low" in the sky and was in a "sharp left turn" toward the west. He said the airplane was banking so sharply that the wings appeared to be vertical to the ground. A second witness stated that the airplane was flying low and was beneath the "low clouds." She said the airplane, "...looked as if it were a trick plane practicing stunts or else someone trying to stabilize the plane but continuing to overcorrect as the nose would go down then up and the wings would go from right to left and back, but it never stabilized." She also said the airplane was going "very slow." She last saw the airplane descend behind a tree line and out of her view, but she could still hear its engine. She described the sound being similar to when a lawn mower engine "quits right before it runs out of gas." She said the engine revved up and then slowed, revved up and slowed, and then about 5 to 10 seconds later she heard a loud pop similar to a bottle rocket. A third witness was in his front yard when he saw the airplane flying from right to left away from the airport. He said the airplane appeared to be flying normally and the engine was operating as if "everything was normal." A few minutes later the airplane turned back toward the airport. The witness said that before the airplane's wings leveled, the left wing dropped, followed by the right wing in a swaying motion. The witness said that as the right wing was coming back up to level, the airplane descended below the tree line and disappeared from view followed by the sound of an impact. A fourth witness was in her front yard when she observed the airplane in a "severe" bank to the right heading toward the southeast. She said the airplane made a sharp right turn and "spiraled downward making 3 to 4 rotations" before it disappeared from view behind trees. Shortly after, the witness observed black smoke coming up from behind the trees where she last saw the airplane. The pilot held a private pilot certificate with ratings for airplane single-engine land, and instrument airplane. His last FAA third-class medical was issued on April 17, 2014. At that time, he reported a total flight experience of 750 flight hours. The pilot's most recent logbook was not recovered and his overall flight experience and currency were not confirmed. The pilot resided in Pennsylvania and had flown down to Florida on September 4, 2015, with his wife, father-in-law, and a friend, who was also a pilot and owned a Beech A36. According to the friend, the pilot had recently purchased the airplane and wanted to have another pilot along since this was his first long flight in the airplane. The friend estimated that the pilot only had about 6 hours of flight time in the airplane before the flight. The friend said the flight to Florida was uneventful; the airplane flew well, and the weather was mostly visual flight rules (VFR). The airplane was equipped with a Garmin 530/430 GPS, autopilot and a flight director, which were new to the pilot. During the flight, the friend helped the pilot practice loading instrument approaches into the Garmin 530 and they executed a practice instrument approach. The friend said the pilot had a lot of flight experience in instrument conditions in a Piper PA-28-180 airplane, but it did not have the advanced avionics or autopilot like the A36. The friend added that the pilot was getting more comfortable with the Garmin 530 and autopilot by the time they arrived in Florida. The friend said the pilot dropped him off in Sarasota, Florida, and then the pilot and his family flew to St. Petersburg, Florida, to visit their daughter/granddaughter. The friend did not plan to return to Pennsylvania with the family the following Monday, but did monitor their trip via FlightAware. The friend was not aware if there was any reason the family had to get home on the day of the accident. According to the pilot's primary flight instructor, the pilot had accrued over 800 hours of total flight time and had a lot of IFR experience in a Piper PA-28-180 airplane. The instructor said he had flown IFR with the pilot in the past and felt he was "very good and conscientious." After the pilot had purchased the accident airplane in August 2015, the instructor gave the pilot a complex check-out (6 hours flight time, 1.5 hours ground), which also included a demonstration on how to use the Garmin 530 for instrument approaches. These approaches were all done in VFR conditions and the pilot was not "under the hood." After the check-out, which was completed on September 2, 2015, 5 days before the accident, the instructor was not sure if the pilot flew the airplane before going to Florida; however, he did tell him not to fly in actual IFR conditions until he gained more flight experience. The instructor said that the pilot had invited him and his wife to fly with them to Florida, but the instructor was unable to take the time off for vacation. So the pilot asked another friend to go. The instructor mentioned that the family was returning home on the 7th because the pilot's father-in-law was having surgery the following day. However, a family member confirmed that was not the case and it was just a standard doctor's appointment. The six-seat, low-wing, single-engine airplane was equipped with a six-cylinder, horizontally opposed, fuel-injected, 285-horsepower Continental IO-520-BB engine (s/n 830171-R) that drove a three-bladed McCauley propeller (s/n EE3711B). The airplane's last annual inspection was conducted on March 6, 2015, at an airframe total time of 3,743 hours. The engine had accrued 326 hours since factory rebuild. Weather reported at GSO, about 6 miles northeast of the accident site, at 1154, was wind from 090 degrees at 6 knots, visibility 10 statute miles, ceiling 1,100 overcast, temperature 23 degrees C, dewpoint 21 degrees C, and a barometric pressure setting of 30.19 in Hg. According to Lockheed Martin, the pilot received two separate weather briefings through the automated flight service station (AFSS) system. The first telephone briefing was obtained before departing St. Petersburg and the other before departing Sarasota. The first briefing lasted about 3 minutes and 36 seconds. The pilot filed an IFR flight plan and reported the flight to Sarasota would take 15 minutes and he had 5 hours of fuel onboard. He requested a hazardous weather briefing and was informed that a convective SIGMET for embedded thunderstorms would be west along his route of flight. The pilot then interrupted the briefer and ended the briefing. In Sarasota, the pilot again contacted AFSS and filed an IFR flight plan direct to GSO and asked for a hazardous weather briefing. The pilot said the flight would take 3 hrs and 30 minutes and he had 5 hours of fuel onboard. The briefer informed the pilot that an AIRMET for IFR weather was issued for northern and Central Florida, Georgia, South Carolina and North Carolina. The pilot then asked about the convective weather that was approaching Sarasota and was told that the leading edge of the storm was about 12.2 miles southwest of the Sarasota airport. The pilot then tried to end the briefing so he could leave before the storm, but the briefer said he had yet to provide the adverse weather information for the requested route of flight and would not be able to consider the briefing complete. The briefer also stated that he could get in trouble for not providing the weather that the pilot had requested from him, but would end the briefing if the pilot wanted to "cut him off." The pilot told the briefer to continue, but shortly after, interrupted him and said, "Ok, I am perfect. Thank you for all the help." As part of the investigation, an NTSB air traffic control specialist conducted interviews of the controllers with GSO approach control, which included the controller who worked south-radar, west-radar, and their front line manager. The south-radar controller and the west-radar controller were both in contact with the pilot. The south-radar controller, who first handled the accident airplane as it approached GSO, said he did not think there was anything unusual about the flight, but felt it wasn't normal for the pilot to be so confused about which runway he had been assigned to land. He said it wasn't until after he had transferred the pilot to the west-radar controller that he noticed there was a problem when he saw the airplane was not properly lined up for the approach on runway 5R. The west-radar controller said he was aware the pilot was disorientated and not maintaining headings and altitude. He said he was trying to get the accident airplane on a solid vector so the pilot could level the airplane and then later climb above the clouds to regain visual orientation. In an attempt to assist the pilot, the controller asked the pilot if he was able to accept no-gyro vectors, which is a procedure where a controller will tell the pilot when to "start turn" and "stop turn", with the expectation that the pilot will turn at standard rate, or 3 degrees per second. The pilot said he was able to accept the vectors. Though no-gyro vectors are commonly used by controllers when a pilot's gyroscopic heading indicator fails, the pilot never reported a malfunction. In regard to no-gyro procedures, the west-radar controller said he was not familiar with standard rate turns and only knew to tell a pilot to stop the turn as he approached the desired heading. He could not recall the last time he received training on emergencies or how to determine an emergency situation. The controller said he could not recall receiving simulator training on emergencies at GSO and had no training since his initial controller certification. He described the situation involving the accident airplane as a "priority" but not an emergency. Facility management provided four summaries of training scenarios that included unusual or emergency situations, but none included no-gyro vectors or focused on identification of emergencies. The front line manager was also aware that the accident pilot was disorientated and not responding to assigned headings or maintaining altitude. He said the west-radar controller was handling the situation well and he was helping him reduce workload so he could focus on the accident airplane. However, he did say that he "felt in his gut" that things were not going well and the situation was "serious." The front line manager heard the west-radar controller provide a no-gyro heading to the accident airplane and it appeared that the airplane was lining up with runway 5R, but it then disappeared off radar. When the target did not reacquire, the front line manager issued an "alert 3" for a possible accident. When asked about no-gyro procedures, the front line manager said he was familiar with standard rate turns and proper procedures for using them, but had not used them in many years. He said the best way to assist a pilot who is disoriented was to get them into visual conditions or get on the ground. It was important to get the airplane level, on a single frequency and to a safe altitude. FAA Order JO 7110.65U, "Air Traffic Control"
An emergency can be either a distress or an urgency condition as defined in the Pilot/Controller Glossary. The section also indicates that a pilot who encounters a distress condition should declare an emergency with the word "Mayday" preferably repeated three times, or "Pan-Pan" if an urgency condition also preferably repeated three times. If "Mayday" or "Pan-Pan" are not broadcast by the pilot but you (controller) are in doubt that a situation constitutes an emergency or potential emergency, handle it as though it were an emergency. Because of the infinite variety of possible emergency situations, specific procedures cannot be prescribed; however, when you believe an emergency exists or is imminent, select and pursue a course of action which appears to be most appropriate under the circumstances and which most nearly conforms to the instructions in this manual. A postaccident examination of the airplane revealed it impacted terrain in an open area adjacent to an active rock quarry that had been recently graded and packed in preparation to start construction on a new building. The airplane came to rest upright about 6 miles southeast of GSO on a heading of 051 degrees. All major components of the airplane were accounted for at the accident site. A post-impact fire consumed a majority of the cockpit, fuselage, and both wings from the root to about mid-span. The tail section remained attached to the airplane and did not sustain any fire damage. Both wings remained attached to the airplane but sustained extensive fire and impact damage. Flight control continuity was established for all flight controls to the cockpit area. The flaps and landing gear were retracted. Examination of the terrain around the main wreckage revealed the airplane had little to no forward movement when it contacted the ground, consistent with the airplane being in a steep nose down attitude at the time of impact. The airplane's windshield was fragmented and pieces of Plexiglas and parts of some of the flight instruments were found about 20-30 ft forward of where the main wreckage came to rest. The engine remained partially attached to the fuselage and sustained extensive impact damage. The propeller flange and crankshaft were bent upwards and the top forward section of the engine crankcase was torn off exposing the internal components associated with No. 5 and No.6 cylinders. Since the crankshaft was bent, it could not be rotated. The three-bladed propeller was buried, spinner side down, about 12-inches-deep into the ground. The spinner was crushed and the metal was peeled back. The propeller was separated and lying partially under the engine and main wreckage, which was lying flat on its belly. All three blades were loose in the hub but remained attached to the hub. Blade No. 1 was bent aft with some leading edge scoring; Blade No. 2 was bent aft and twisted with leading edge scoring with some gouging at the tip, and Blade No. 3 was bent aft with leading edge scoring. The propeller governor, engine-driven fuel pump, throttle body/fuel metering unit, vacuum pump, alternator, starter motor/starter adapter, and oil pump were separated from the engine. The oil sump was fractured and the oil pick-up tube/screen remained attached to the fractured oil sump segment that remained with the oil pump. The pump was disassembled and no anomalies were noted to the pump gears or housing walls. The engine-driven fuel pump sustained impact damage. The drive coupling was bent and could not be removed. The coupling could be rotated, but would bind on the areas where the coupling impinged the base of the pump. The pump was disassembled and no mechanical anomalies were noted. The throttle body and metering unit sustained impact damage and had separated from one another. Examination of the throttle body revealed the valve was in the full-open position; however, it had sustained impact damage and the shaft was fractured. Witness marks consistent in size and shape as the edge of the throttle valve were noted on the inside walls of the throttle body. Positioning the throttle valve in the same areas as the witness marks placed the throttle valve in a near closed (or idle) position. The manifold valve remained partially attached to the engine via the No.6 fuel injector line. The valve was disassembled and no anomalies were noted with the spring, plunger, and screen. The fuel injector nozzles were removed and each exhibited some form of deformation from impact. No anomalies were noted. Both magnetos were separated from their respective mounting pads. The left magneto remained partially attached to the engine via the ignition leads. The housing was fractured, exposing some of the internal components. When the magneto was manually rotated the points opened and closed and the impulse coupling snapped. The right magneto sustained impact damage and all of the leads had separated. The unit was disassembled and the distributor and block were fragmented. The spark plugs remained secure in their respective cylinders except for the top No. 1 plug, which was found in the wreckage. The No.1 spark plug's side-electrodes were stripped from the plug and found in the No. 1 cylinder. The other plugs were removed and each exhibit normal wear when compared to the Champion Spark Plug "Check A Plug" chart. The internal chamber of the engine was examined with a lighted borescope. No mechanical deficiencies were noted that would have precluded normal operation of the engine prior to impact. The vacuum pump was separated from the backside of the engine and sustained impact and thermal damage. The mounting flange was fractured and the two mounting studs that separated with the pump were sheared. The pump was disassembled and the rotor was fractured into four sections. All but one of the vanes remained intact except for one section that was fractured at the tip. The fractured tip was in a position that coincided with the narrowest portion of the pump's housing. The tips of each vane were smooth and there was no evidence of gouging on the pump wall. The cockpit area sustained extensive impact and fire damage; however, the instrument air gauge needle and airspeed indicator were in relatively good condition. The instrument air gauge needle was stopped in the green arc, about 4.6 in Hg, and the air speed indicator needle was stopped about 189 knots. The altimeter sustained some impact damage. It indicated about 960 ft and 30.15 in Hg. The horizontal situation indicator sustained extensive impact and thermal damage. The gimbal had separated from its housing and was found forward of the main wreckage. Examination of the internal housing revealed deep rotational scoring on the housing walls. Rotational gouging was also observed on the outer diameter of the gimbal. The throttle, propeller control and mixture were all in the full forward position. An autopsy was conducted on the pilot by the Wake Forest Baptist Medical Center, Department of Pathology, Winston-Salem, North Carolina, on September 9, 2015. The cause of death was determined to be multiple blunt force trauma injuries. Toxicological testing was conducted by the FAA's Bioaeronautical Research Laboratory, Oklahoma City, Oklahoma. The results were negative for all items tested. According to the FAA Flight Training Handbook, Advisory Circular (AC) 61-21A, page 9, "The flight attitude of an airplane is generally determined by reference to the natural horizon. When the natural horizon is obscured, attitude can sometimes be maintained by reference to the surface below. If neither horizon nor surface references exist, the airplane's attitude must be determined by artificial means - an attitude indicator or other flight instruments. Sight, supported by other senses such as the inner ear and muscle sense, is used to maintain spatial orientation. According to an FAA Instrument Flying Handbook, AC 61-27C (Section II, "Instrument Flying: Coping with Illusions in Flight"), an illusion or false impression occurs when information provided by sensory organs is misinterpreted or inadequate and that many illusions in flight could be created by complex motions and certain visual scenes encountered under adverse weather conditions and at night. It also stated that some illusions may lead to spatial disorientation or the inability to determine accurately the attitude or motion of the aircraft in relation to the earth's surface. "The leans - A banked attitude, to the left for example, may be entered too slowly to set in motion the fluid in the 'roll' semicircular tubes. An abrupt correction of this attitude can now set the fluid in motion and so create the illusion of a banked attitude to the right. The disoriented pilot may make the error of rolling the aircraft back into the original left-banked attitude or, if level flight is maintained, will feel compelled to lean to the left until this illusion subsides. Inversion illusion - An abrupt change from climb to straight-and-level flight can excessively stimulate the sensory organs for gravity and linear acceleration, creating the illusion of tumbling backwards. The disoriented pilot may push the aircraft abruptly into a nose-low attitude, possibly intensifying this illusion. Elevator illusion - An abrupt upward vertical acceleration, as can occur in a helicopter or an updraft, can shift vision downwards (visual scene moves upwards) through excessive stimulation of the sensory organs for gravity and linear acceleration, creating the illusion of being in a climb. The disoriented pilot may push the aircraft into a nose low attitude. An abrupt downward vertical acceleration, usually in a downdraft, has the opposite effect, with the disoriented pilot pulling the aircraft into a nose-up attitude...."
The AC also stated that these undesirable sensations cannot be completely prevented but that they can be ignored or sufficiently suppressed by pilots' developing an "absolute" reliance upon what the flight instruments are reporting about the attitude of their aircraft. According to the FAA Instrument Flying Handbook, AC 61-27C (Section II, "Instrument Flying: Coping with Illusions in Flight"), an illusion or false impression occurs when information provided by sensory organs is misinterpreted or inadequate and that many illusions in flight could be created by complex motions and certain visual scenes encountered under adverse weather conditions and at night. It also stated that some illusions may lead to spatial disorientation or the inability to determine accurately the attitude or motion of the aircraft in relation to the earth's surface. On September 7, 2015, about 1203 eastern daylight time, N36HT, a Beech A36, was destroyed when it impacted terrain near Kernersville, North Carolina. The certificated private pilot and the two passengers were fatally injured. The airplane was registered to and operated by Central Penn Aviation Academy Inc, Paxinos, Pennsylvania. An instrument flight rules (IFR) flight plan was filed for the flight that departed Sarasota-Bradenton International Airport (SRQ), Sarasota, Florida, about 0819. Instrument meteorological conditions (IMC) prevailed at the time of the accident. The personal flight conducted under the provisions of 14 Code of Federal Regulations Part 91. According to preliminary radar and voice communication data provided by the Federal Aviation Administration (FAA), the airplane was being radar vectored by air traffic control for the ILS RWY 5R instrument approach to the Piedmont Triad International Airport (GSO), Greensboro, North Carolina, following a previous unsuccessful instrument approach. Several witnesses observed the airplane just prior to the accident. One witness stated that when he first saw the airplane, it was "very low" in the sky and was in a "sharp left turn" toward the west. He said the airplane was banking so sharply that the wings appeared to be vertical to the ground. A second witness stated that the airplane was flying low and was beneath the "low clouds." She said the airplane, "...looked as if it were a trick plane practicing stunts or else someone trying to stabilize the plane but continuing to overcorrect as the nose would go down then up and the wings would go from right to left and back, but it never stabilized." She also said the airplane was going "very slow." She last saw the airplane descend behind a tree line and out of her view, but she could still hear its engine. She described the sound being similar to when a lawn mower engine "quits right before it runs out of gas." She said the engine revved up and then slowed, revved up and slowed, and then about 5-10 seconds later she heard a loud pop similar to a bottle rocket. The airplane impacted terrain in an open area adjacent to an active rock quarry that had been recently graded and packed in preparation to start construction on a new building. The airplane came to rest upright on a heading of 051 degrees and a post-impact fire consumed a majority of the cockpit, fuselage, and both wings from the root to about mid-span. The tail section did not sustain any fire damage. Weather reported at Piedmont Triad International Airport, about 6 miles northeast of the accident site, at 1154, was wind from 090 degrees at 6 knots, visibility 10 miles, ceiling 1,100 overcast, temperature 23 degrees C, dewpoint 21 degrees C, and a barometric pressure setting of 30.19 in Hg. The pilot held a private pilot certificate for airplane single-engine land, instrument airplane. His last FAA third class medical was issued on April 17, 2014. At that time, he reported a total of 750 flight hours. 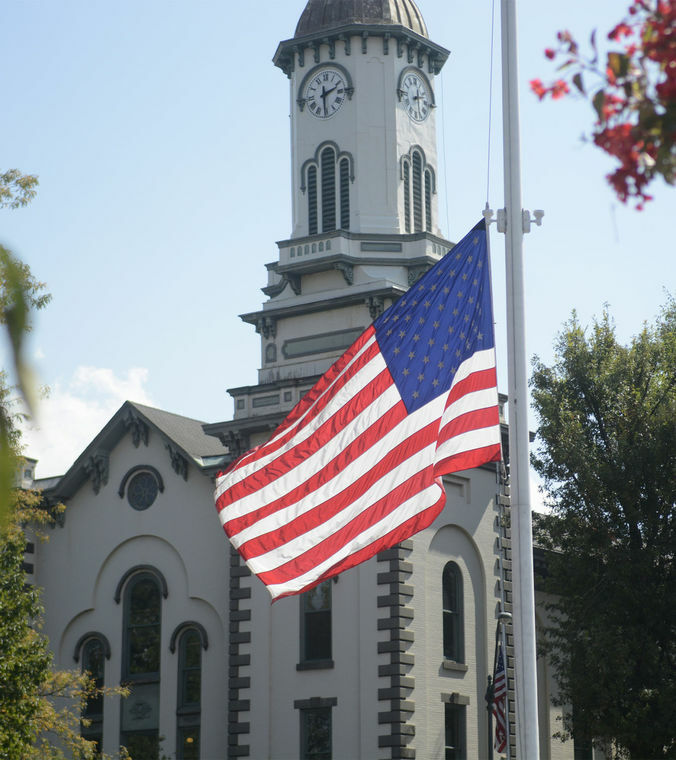 The U.S. flag near the Northumberland County courthouse was at half-staff on Tuesday after the death of Sunbury attorney Mike Apfelbaum; his wife, Christy; and her father, Clarence Imgrund, all of Lewisburg. 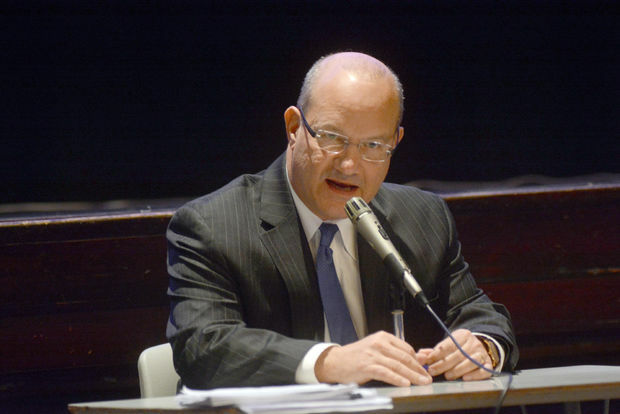 Michael Apfelbaum, solicitor for the Shikellamy School District in Sunbury, Pa., is shown in this December 2014 file photo. Apfelbaum was killed in a plane crash south of Kernersville on Labor Day. FORSYTH COUNTY, N.C. -- FOX8 has learned more about the last moments of the flight of a Beechcraft A36 Bonanza which crashed in Forsyth County on Monday. The three people in the plane all died, officials say. They are now identified as Michael and Christy Apfelbaum, and Christy’s father, Clarence Imgrund; all of Pennsylvania. The family had been flying from Sarasota, Florida to Piedmont Triad International Airport. PTI Executive Director Kevin Baker said the pilot tried to make contact with the tower at PTI just minutes before the crash. Meanwhile, witnesses watched from the ground as the plane began to lose control. Sells says the aircraft then began to spin, which resulted in a further loss of altitude. “When I saw it twirling nose first, down, I realized then that it wasn't a stunt. It was crashing. It was real life,” Sells said. It was only moments later when the plane went down, in the vicinity of N.C. 66 and U.S. 311, in or near the Vulcan Materials East Forsyth Quarry. “I could not see the actual impact because it went behind the trees, but I did hear the loud boom,” Sells said. Officials say the plane burst into flames on impact. “Just to know that they probably were living in some very horrid last moments of their life, seeing their plane go down and them in it. It was very, very sad,” Sells said. The NTSB was at the crash site on Tuesday. Their preliminary report is expected to come out next week. SUNBURY -- A plane crash in North Carolina claimed the life of a well-known attorney from central Pennsylvania, along with his wife and her father. Attorney Mike Apfelbaum was a partner in a law firm in Sunbury. He was piloting his plane Monday, and was looking to land at an airport in North Carolina when his small plane went down in a fiery crash. The National Transportation Safety Board is investigating the cause of the crash near Greensboro. People in central Pennsylvania are just learning of the deaths of Michael Apfelbaum, his wife Christy, and her father. According to the NTSB, Michael Apfelbaum was piloting the Beechraft. The plane was headed from the west coast of Florida to an airport near Greensboro, North Carolina. Apfelbaum radioed the airport control tower around noon Monday saying his plane was having trouble, and he was disoriented and trying to find the airport. Shortly after that the plane crashed into a stone quarry and caught fire. Michael Apfelbaum is described as an experienced pilot, and he was also the solicitor for the city of Sunbury, the Shikellamy School District, and the Northumberland County Airport Authority. His wife Christy owned the Center for Permanent Cosmetics in downtown Lewisburg. According to the NTSB, an investigator is now at the scene of the plane crash in North Carolina. The site investigation should take about three days, but it could be months before the agency determines exactly what caused the plane crash. A Pennsylvania city attorney, his wife and father have been identified as the the pilot and passengers killed in a Monday plane crash. 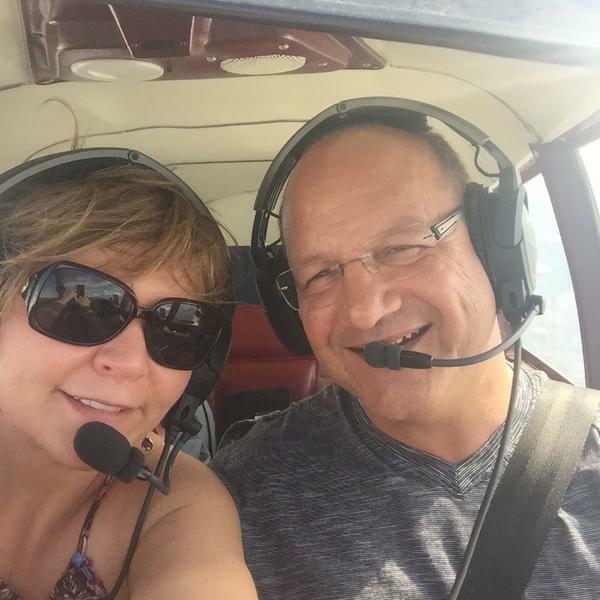 Michael Apfelbaum, his wife Christy Apfelbaum and her father were aboard a Beechcraft A36 that had departed from Sarasota, Fl. The single-engine small plane crashed into Forsyth County rock quarry after the pilot told the control tower at Piedmont International Airport that he was disoriented and couldn't find the airport. Audio is available by clicking here. The content may be disturbing to some listeners. HIGH POINT — Audio from the control tower at Piedmont International Airport that contains the last communication with the tower before a Beechcraft A36 crashed Monday is available by clicking here. The content may be disturbing to some listeners. HIGH POINT — Before a single engine plane crashed into a Forsyth County rock quarry killing the three people on board the pilot told the control tower at Piedmont International Airport that he or she was disoriented and couldn't find the airport. Peter Knudson, spokesman for the National Transportation Safety Board, confirmed that the pilot who flew a Beechcraft A36 from Sarasota, Fla. to PTI contacted the control tower right before crashing into the Vulcan Materials East Forsyth Quarry at 2866 Highway 66 near Kernersville Monday. "The pilot was talking to air traffic controllers on approach into Greensboro and indicated he was having trouble," Knudson said. "The pilot reported being disoriented and was having a difficult time locating the airport." Kevin Baker, the airport's executive director, confirmed the control tower's communication with the pilot. "What sounds like happened is the pilot was unable to tell the tower what the problem was but said they had a problem and within the next few moments is when the crash occurred," Baker said. Knudson said the passengers died during the accident. "It (the plane) immediately went up in flames," said John McCollum, a telecommunicator with Forsyth EMS. The victims names have not been released. Knudson said the agency yields to local authorities to release that information. Knudson said an investigator with the NTSB will arrive at the crash site to investigate Tuesday. The initial investigation should three days with a report available in 10 days, but the full investigation won't be completed for nearly 12 months. HIGH POINT — Three people died after a single engine plane crashed into a rock quarry in southeastern Forsyth County Monday afternoon, WGHP (Fox 8) reported. Peter Knudson with the NTSB confirmed to the TV station there were three people on the flight that traveled from Sarasota, Fla. to Piedmont Triad International Airport in Greensboro Monday. The airport's executive director Kevin Baker said the pilot communicated with the airport's tower right before crashing. "What sounds like happened is the pilot was unable to tell the tower what the problem was but said they had a problem and within the new few moments is when the crash occurred," Baker said. 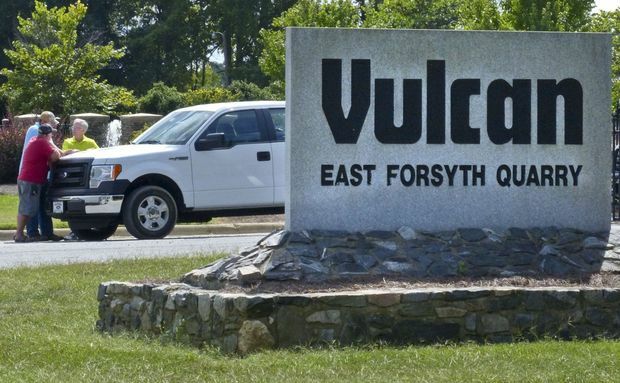 Forsyth EMS began receiving calls about the crash, which happened at the Vulcan Materials East Forsyth Quarry located at 2866 Highway 66 South near Kernersville, at approximately 12:06 p.m.
"It immediately went up in flames," said John McCollum, a telecommunicator with Forsyth County EMS. The National Transportation Safety Board posted on Twitterfeed the agency was investigating the crash which involved a Beechcraft A36. HIGH POINT — Right before a plane crashed into a rock quarry in southeastern Forsyth County the pilot contacted the control tower at Piedmont Triad International Airport in Greensboro to report an emergency. The airport's executive director Kevin Baker confirmed the pilot's communication with the tower before the crash. Calls about the crash, located at the Vulcan Materials East Forsyth Quarry located at 2866 Highway 66 South near Kernerserville, came into Forsyth EMS at approximately 12:06 p.m. Monday. It wasn't clear how many people were on the plane. Baker and investigators weren't sure if the plane planned to fly into the airport or if he took off from the airport prior to the emergency. KERNERSVILLE — Paramedics and investigators are responding to a single engine plane crash that happened in Kernersville shortly after noon Monday. Paramedics don't know how many people were on board the plane. 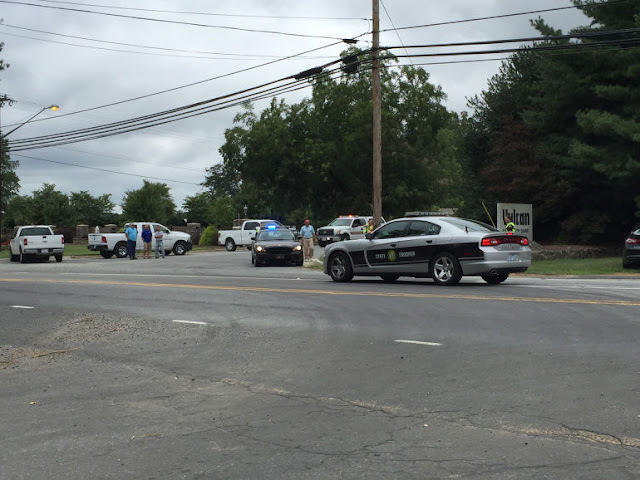 The crash happened at Vulcan Materials East Forsyth Quarry located at 2866 Highway 66 South in Kernersville. Telecommunicators with both Forsyth County EMS and Piedmont Triad International Airport confirmed the pilot contacted the Federal Aviation Administration tower at the airport before crashing. Neither knew the nature of the pilot's communication. "I've heard reports that he (the pilot) contacted our tower to try and land but I can't verify that right now," said Kevin Baker, the airport's executive director. "We're still trying to figure out what went on." It's unclear whether the plane took off from the airport or was in route to Greensboro prior to the crash. FORSYTH COUNTY, N.C. -- Three people were killed in a plane crash Monday afternoon in Forsyth County just outside of Kernersville, according to the NTSB. The aircraft, a Beechcraft A36 Bonanza, went down in the vicinity of N.C. 66 and U.S. 311, in or near the Vulcan Materials East Forsyth Quarry. “It immediately went up in flames,” said John McCollum, a telecommunicator with Forsyth County EMS, told the News & Record. Peter Knudson, with the NTSB, said three people were on board the plane and all three were killed. The plane was flying from Sarasota Florida to Piedmont Triad International Airport. The crash happened about 12:10 p.m. about seven miles southwest of PTI, a Federal Aviation Administration official said. The pilot of the aircraft tried to make contact with the tower at PTI minutes prior to the crash, according to PTI Executive Director Kevin Baker. A preliminary report is expected in the next week. FORSYTH COUNTY — The National Transportation Safety Board has confirmed that all three people aboard a small plane died in a crash Monday afternoon in southeastern Forsyth County. 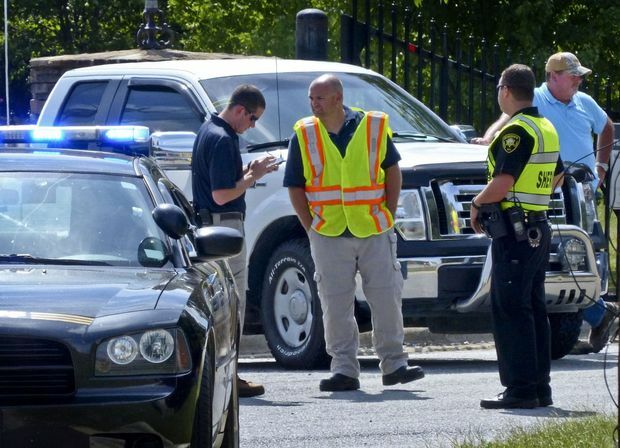 The crash occurred at about 12:10 p.m. at Vulcan East Forsyth Quarry off Highway 66 near the Forsyth, Guilford and Davidson County lines, said First Sgt. K.G. Brown, supervisor for Forsyth County with North Carolina Highway Patrol. Guilford County Emergency Management, Forsyth County Emergency Management, Forsyth County Sheriff’s Department, North Carolina State Highway Patrol and local Forsyth County volunteer fire departments were on scene. Brown said Guilford County vehicles were called in because the quarry is close to the Forsyth-Guilford County line. “We were trying to send all responding agencies that were available,” she said. Peter Knudson with the NTSB said the plane was a Beechcraft A36. It had taken off in Sarasota, Florida and planned to land at the Piedmont Triad International Airport. Knudson reported that the plane was on an instrument flight rules (IFR) plan, meaning air traffic controllers provide the pilot with directions for altitude, direction and changes in direction. This type of flying also helps ensure planes are separated when in flight. Knudson said many small planes fly under visual flight rules — by sight through a window, as one would drive a car — but those types of planes may switch to IFR if they get in poor or cloudy weather. The sky was mildly cloudy around noon on Monday. Authorities initially reported the plane was completely destroyed and the fire was extinguished quickly, but Brown was not able to confirm that. Brown said the quarry’s perimeter had been secured and only emergency vehicles were being allowed inside. 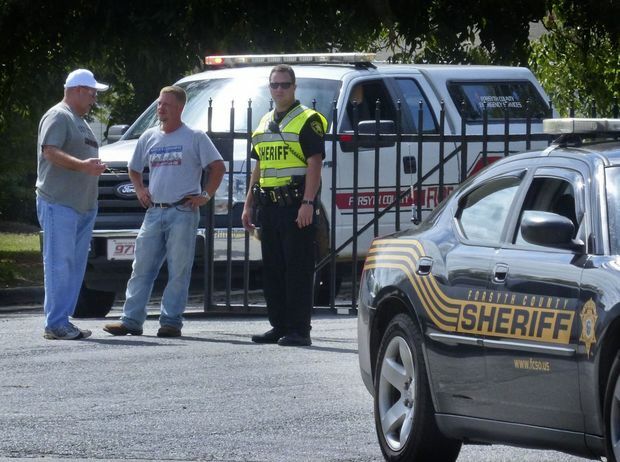 The facility had been closed for Labor Day, but a property representative was on scene. Federal agents with Federal Aviation Administration and National Transportation Safety Board had been notified of the crash and were responding to the scene. Brown said once they arrived, they would take control of the incident. In these sorts of situations, local and state authorities are called to the scene and attempt to secure it and do everything they can on an emergency response level, she explained. Then, the federal agencies send a representative out to aid with the investigation. Brown confirmed that the plane crashed on a flat gravel or sandy part of the quarry. Kevin Baker, executive director of Piedmont Triad International Airport, said the plane did contact a PTI tower around the time it crashed. Knudson said an investigation of this type would take about 12 months to compete, but there will be a primary report of initial findings released within a couple weeks.